Doing a blog tour is another part of getting your writing noticed by people who may not be familiar with it. In today's world where we are all tightening our belts, it is often an easier choice when we walk into a book shop, to go with the tried and trusted. The big and familiar author names consume a lot of the market, and in tough times, make it increasingly difficult for a new voice to appear. I'm not complaining, just explaining why, more than ever these days, new writers have to do a lot more than write. That being said, there are lots of pleasurable aspects of having a presence online, or doing radio interviews, or writing features for magazines, because it's also part of the business of communication, and once you don't let it get out of hand, communication is a huge part of a writer's toolbox. Today, as leg 5 of the blog tour, I'm visiting a long and dear writing friend. Myself and Brian Kirk met as part of Dermot Bolger's core writing group in SDCC a number of years back. And although writing is many things to many people, I've been blessed with the amazing friends I have met along the way, and Brian is one of them. I've enjoyed some of the questions within this blog tour, many have made me pause to contemplate the answers over time, looking for the most honest response. Brian Kirk is a poet and writer from Dublin. 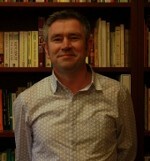 He has been shortlisted for many awards including Hennessy New Irish Writer Awards in 2008 and 2011. His work has appeared in the Sunday Tribune, Crannóg Magazine, The Stony Thursday Book, Revival, Abridged(NI), Southword, Burning Bush 2, WortMosaik(GER), Boyne Berries, Wordlegs, Long Story Short Literary Journal, Can Can, Shotglass Journal, Bare Hands Poetry, The First Cut, The Blue Max Review, Roadside Fiction, Lakeview International Journal of Art and Literature and various anthologies. He was selected for the Poetry Ireland Introductions Series 2013. He blogs at:http://briankirkwriter.com/. The Reading Life - Waiting for a Monsoon to end! THE DOLL'S HOUSE BLOG TOUR STARTS HERE!! !